Submitted by portlandpiper on Wed, 2007-05-02 13:32. This recipe is similar, but not identical to, the one without pictures. It is still quite a spicy dish, but I had sweet peas instead of green beans and I was not in the mood for the tamarind flavour so I left it out. Here is a picture of the final dish. 12 oz. 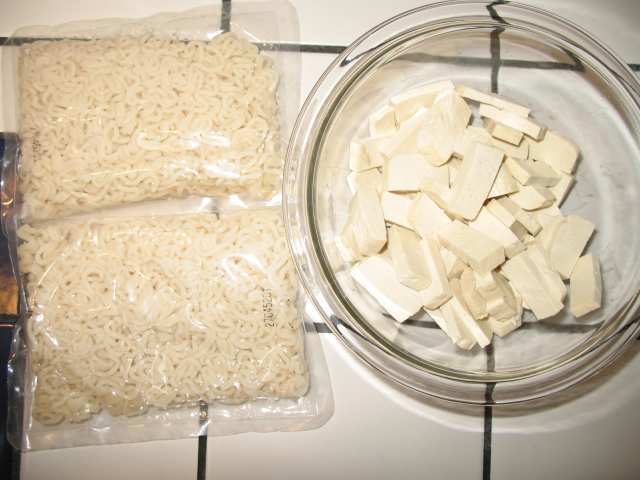 fresh noodles and 8 oz. 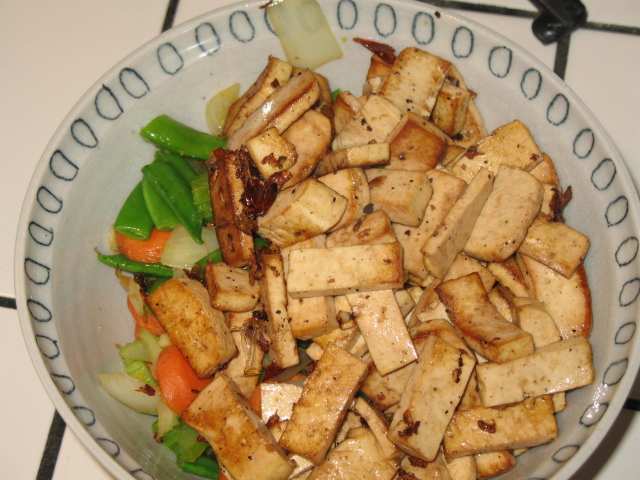 of chopped firm tofu. 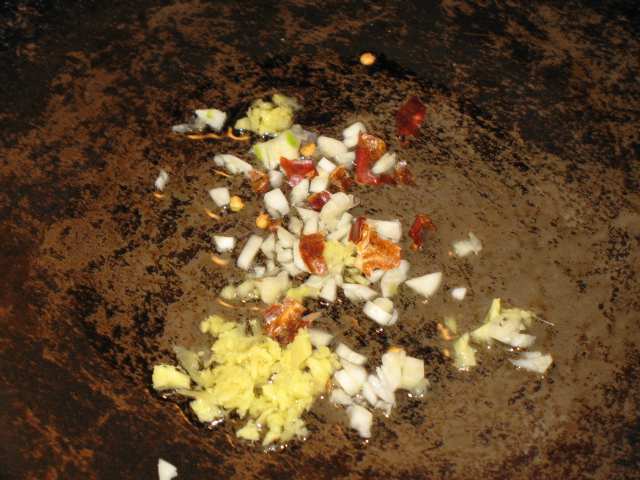 Place your wok over medium heat and immediately add 1 T. of oil and season with 1/3 of the garlic, ginger, and crushed chiles. 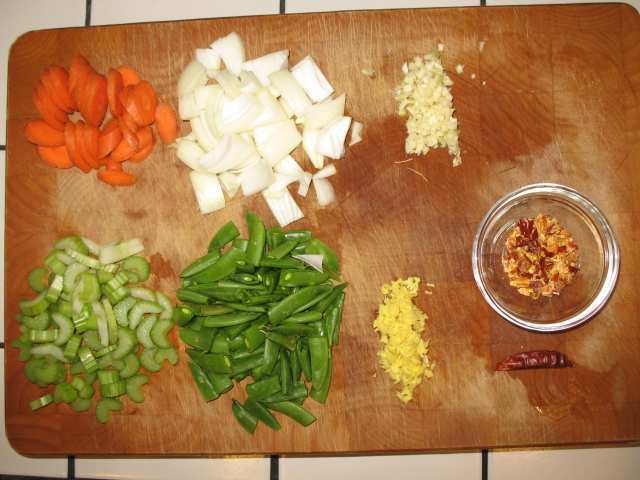 Let this heat for about a minute or until you can start to smell the garlic and ginger. Stir to keep the garlic or chile from burning. 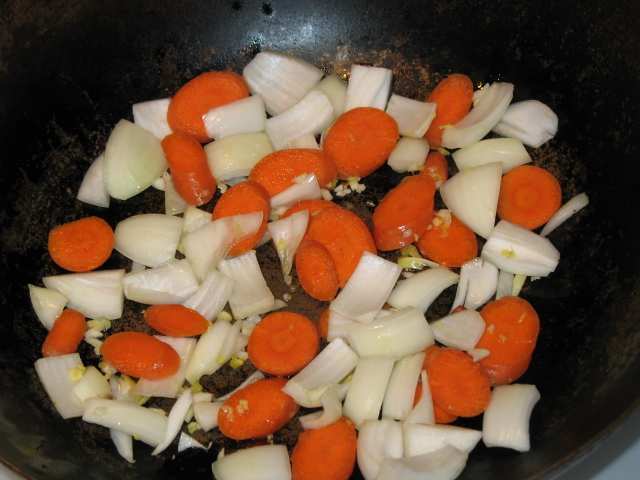 Add the carrots and onions and stir fry for two minutes until they start to soften. 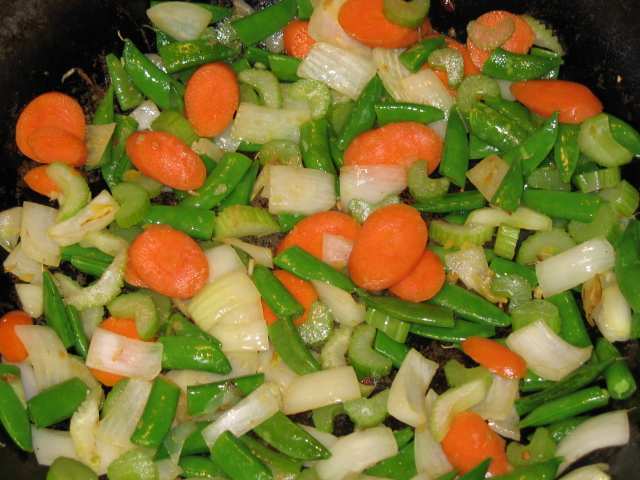 Add the peas and celery and cook for two minutes, stirring occasionally. 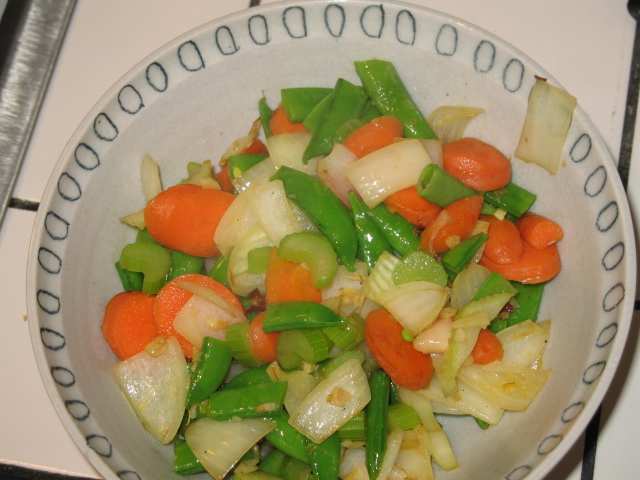 Remove the, now mostly cooked, vegatables from the wok. 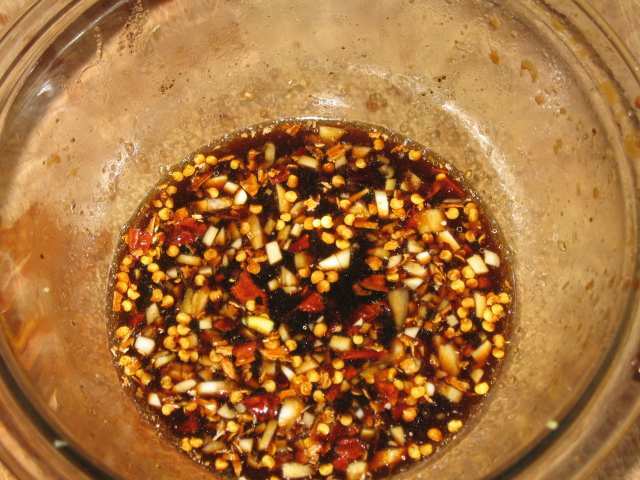 Add 1 T. of oil and 1/2 of the remaining garlic, ginger, and crushed chile to the wok. 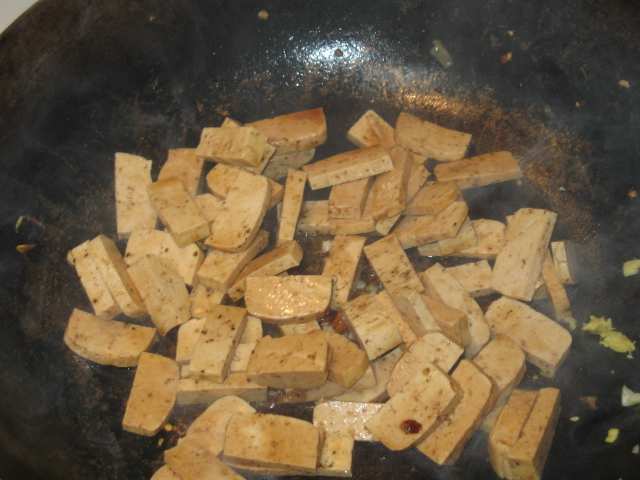 Use a wire strainer to remove the tofu from the marinade and add the tofu to the hot oil. 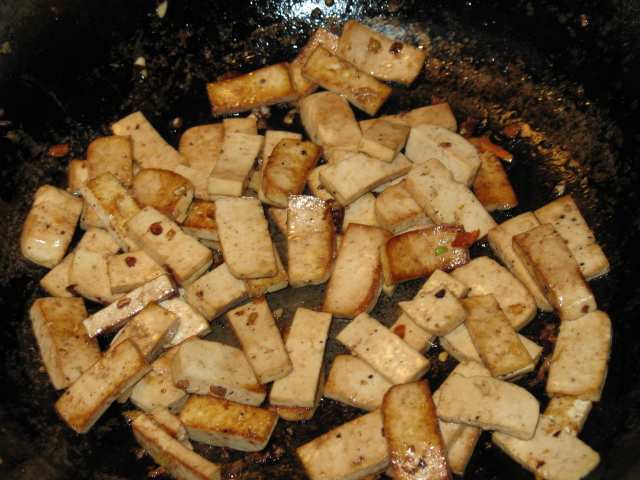 Let the tofu fry for 4 minutes before turning to get some nice carmelization on both sides. Add the remaining garlic, ginger, and crushed chile to the marinade while the tofu is cooking. Remove the tofu from the wok. 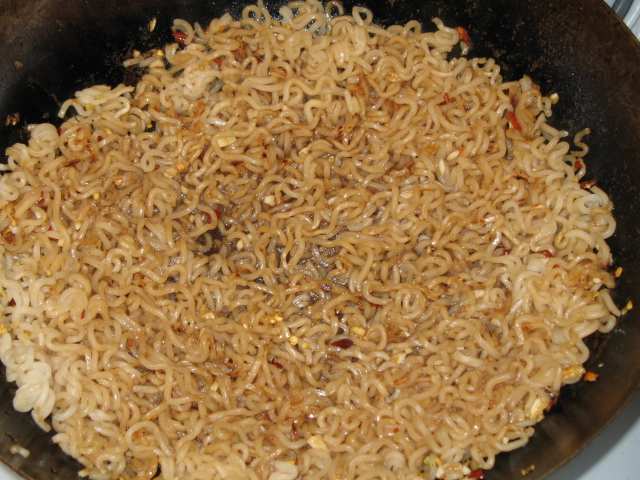 Add the noodles to the wok. Press down a bit to get good contact with the surface. No more oil is needed. 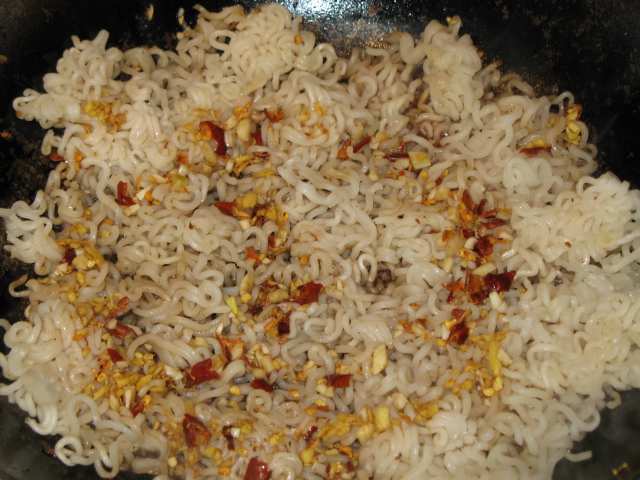 Let this cook for 4 minutes to get some colour and crispness to some of the noodles. 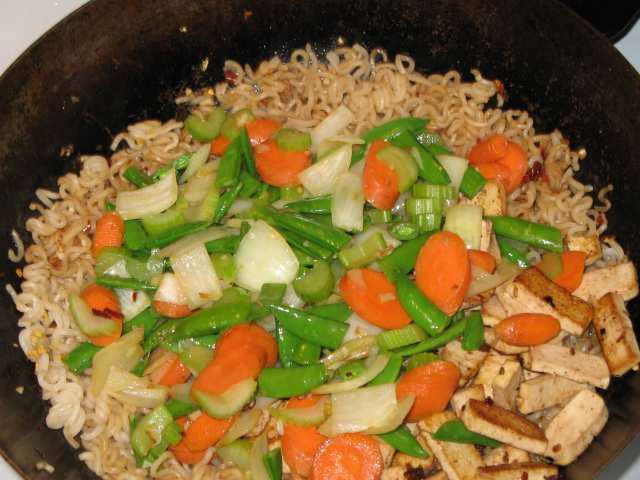 Pour the marinade over the noodles and let this cook for 1 more minute. 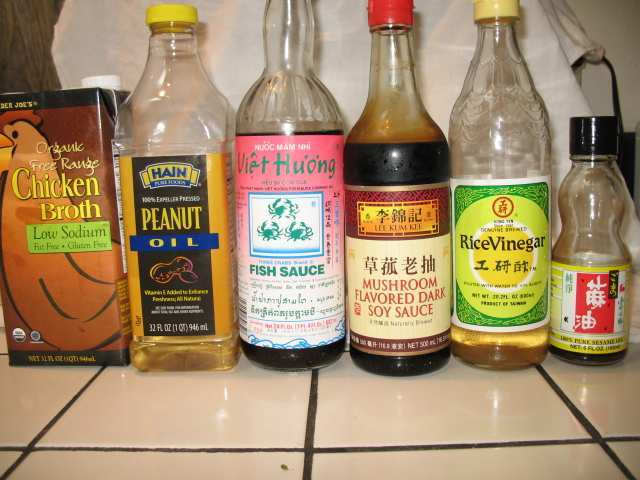 The marinade will release the noodles from the bottom of the wok. 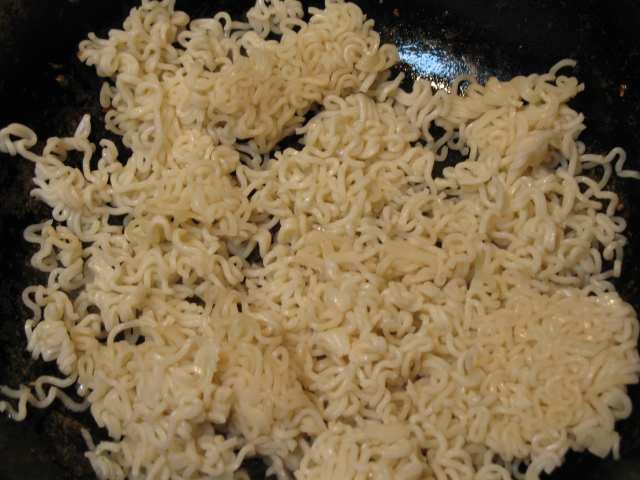 Stir the noodles to coat and cook for 1 more minute. 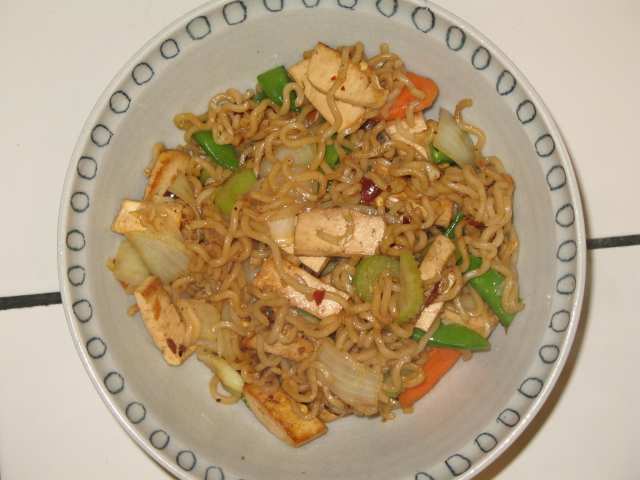 Stir the vegetables and tofu back to the noodles. Heat through and serve.